“Haaye beta, tumhara rang itna saaf tha jab tum choti thi [your skin was so much lighter when you were younger]” - raise your hand if you’ve ever had this gem thrown at you, following a dramatic sigh and a click of the tongue. Raise your other hand if you weren’t allowed to play outside when it was sunny to avoid getting ‘dark,’ or spent your time after school getting haldi and besan rubbed on your arms, face and legs in a bid to make you fairer. Prejudice against darker-skinned people, especially women, is not a new phenomenon but one that has been deeply rooted in our culture, be it due to some sort of colonial hangover that has loomed over our society for hundred of years now, or as some reports state it to be tracing back to the caste system where members of the lower caste often had darker skin. Young girls growing up and being told that having fair skin determines the quality of their life distorts their sense of self and ingrains what’s basically racism and colourism at a psychological level. Anoushka Agrawal was one of these young girls. Now a 17-year-old high school student, she turns to art as a creative outlet. Her relationship with her dark complexion has been a complex one, much like the rest of society. As a child, she couldn’t understand the need for people to point it out - why was it even a matter of discussion? “As I grew older, I began to dislike my dark skin increasingly, because it started to become my weakness - the reason I was teased at school, the reason I felt unattractive,” she tells Homegrown. Her turning point came when she was in the eighth grade, a particular incident that she says in the first post of Shade Card, a six-part art and poetry project collaborated on with artist Tara Anand. These six short-style poems are based on true stories of their peers, all who have been faced colorism in their lives. 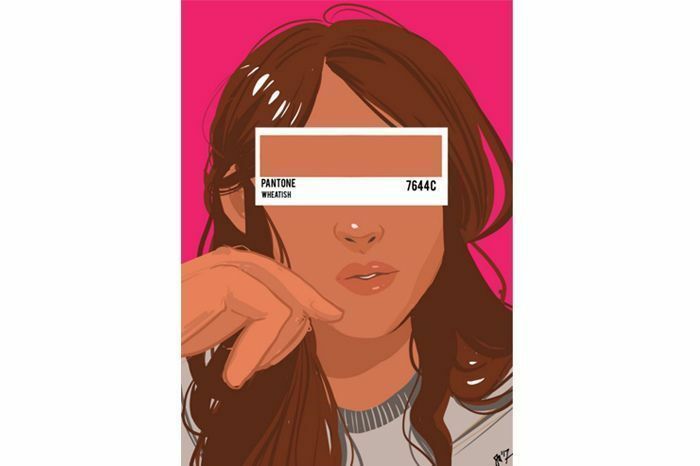 “We’ve called it shade card in reference to ‘the woman card’ or ‘the race card’ where complex inequalities are reduced to make it seem like people taking advantage of their identity. 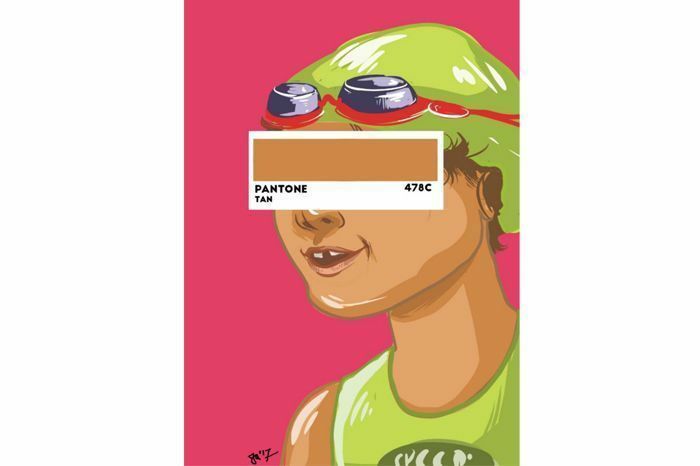 The title also is an allusion to the pantone shade cards that play an important role in the visuals,” explains Tara. 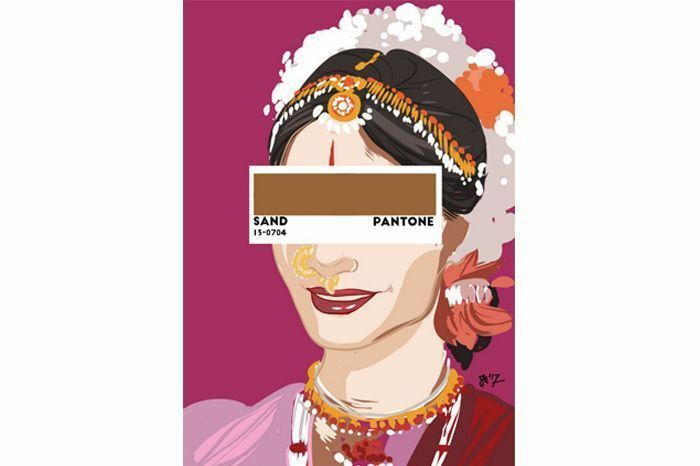 “This incident [the first Shade Card] made me understand just how much importance Indian society gives to complexion. Complexion in India, as well as in many parts of the world, isn’t merely the colour of your skin. Here, it represents your socio-economic standing, your intelligence, your talents, and your flaws. I began to realise how ridiculous the correlation of complexion to other, completely unrelated, aspects of life really were, especially in a country whose people are collectively termed as being ‘brown’ by the rest of the world. I decided to embrace the identity I was running so far away from, and began to turn the conversations about complexion that I was a part of into making those around me understand what colorism really is, and why it shouldn’t be as prevalent in Indian society as it currently is. 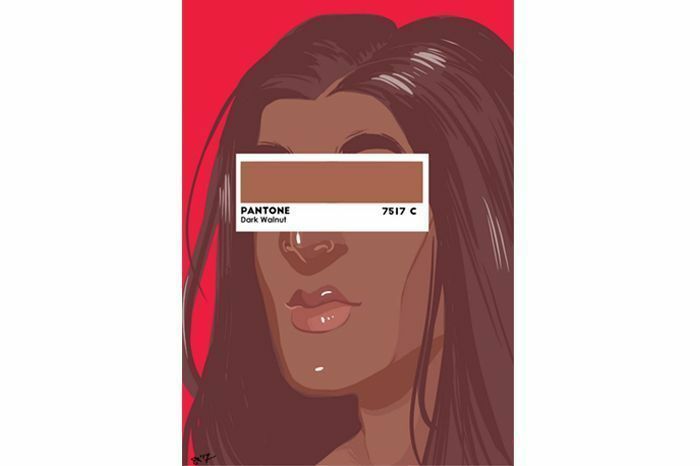 Shade Card attempts to do just this - to make people aware of colorism and how deeply embedded it is in our lives,” says Anoushka. Art is often discussed as being a medium of discussion, especially for topics that we rarely talk about. For Tara, it has the strange ability to appeal to its audience, entertain them, and still engage them in uncomfortable discussion. “Some of the most effective pieces of social commentary have been pieces of pop culture, engaging their audience and making them more sympathetic to the more uncomfortable message or topic,” she comments. 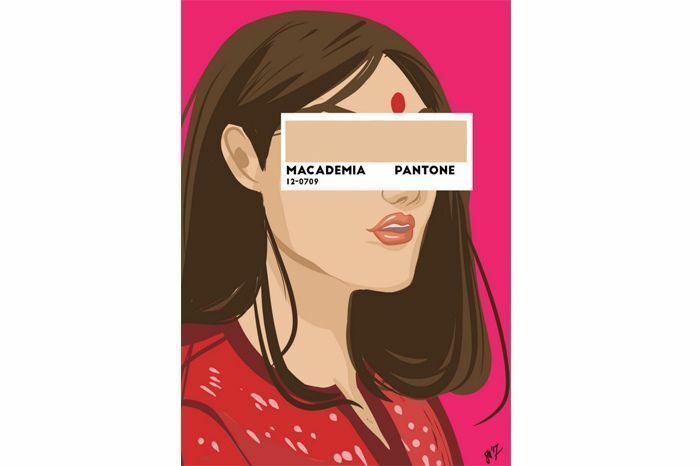 “When anoushka pitched it to me, she emphasised that she wanted to cover people of various skin tones so from the beginning I was picturing them placed in from dark to light the way you would place colours on a pantone colour chart. That’s what put the idea of the pantone colours in my head. I decided to use it because I’d never thought of complexion as just colour and thinking of it that way made it seem so silly to assign so much importance to it. 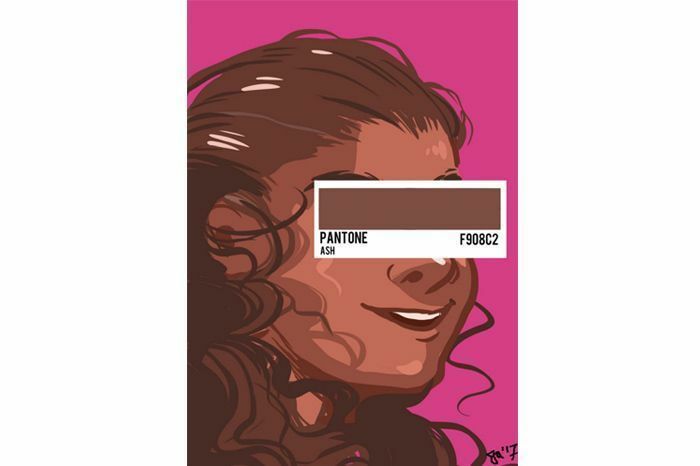 I wanted people to look at the pantone cards and think ‘oh! this is like what I use to pick colours for my walls or furniture!’ so that they’d see how strange it was to load colour with so much social significance. As a Bharatanatyam dancer, Anoushka’s ‘remedy’ for having darker skin tone was always through the use of makeup, though she no longer hides. “To a young girl being teased about her complexion - don’t think of it as a weakness, because it isn’t. Laugh the ridiculous comments off, because your olive, tan, chocolate or even pale skin doesn’t determine your success. Find what you love doing and keep doing it, and show people that your complexion wasn’t the slightest barrier to the incredible woman you will become,” she says, and we couldn’t agree more. Their aim seems to be being achieved as the reception they receive is encouraging, but also tinged with a pleasant surprise at the subject matter. As Tara tells us, people have identified with the stories, and after seeing viewing the entire series - art and stories, it’s understandable why they’ve struck a chord. “We hope that Shade Card would aid in this understanding of colorism and bring to light how much unnecessary importance we really give to complexion,” the duo signs off. We’ve posted Anoushka and Tara’s series below with their permission.